Articles with ideas to take your art to the next level. Many artists like to choose background colors after the central figures have been tiled. It is best to tile from the middle and work toward the edges to avoid awkward spacing between at key focal points, but you should not leave the color choices for the background as a complete afterthought. Nor should you have firm color requirement for the background and tile the central figures without placing that color next to them just to see if they work. Avoid “painting yourself into a corner” by doing a lot of cutting and mounting without thinking ahead. “Thinking ahead” can be as simple as placing a single tile next to what you are tiling now to see if it has adequate contrast. This entry was posted in Art Review, Improving Your Art, Step by Step Instructions and tagged color scheme on April 23, 2019 by Joe Moorman. The following method is only recommended for dry indoor mosaics. Artist Megan Adams recently used it to save a mosaic that had been compromised by white grout, which makes tile colors look less intense and the mosaic as a whole “bleached out” in appearance. We put white grout in bathrooms because it is used as an indicator of cleanliness. 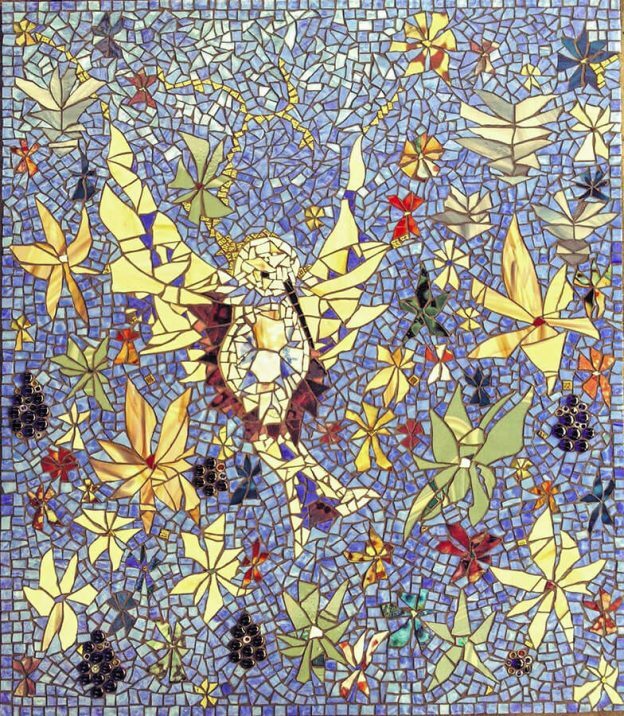 It’s use in mosaic art is limited to making your project look like a summer camp project. Avoid it. Consider black or dark gray grout instead to make your colors look intense. Also keep in mind that traditional sanded grout is lighter in color when it hardens, and so sometimes a light gray or light brown grout can turn out looking like an off-white and cause the same problem as if you had used white grout. This entry was posted in Art Review, Improving Your Art, Step by Step Instructions on March 27, 2019 by Joe Moorman. Artist Betty Ackerman recently used our fire-polished millefiori (the Mud-Turtle Mosaic brand) and stained glass to make a circular mosaic in the form of a rainbow-colored tree of life with a column of chakras spiraling inward on the trunk. 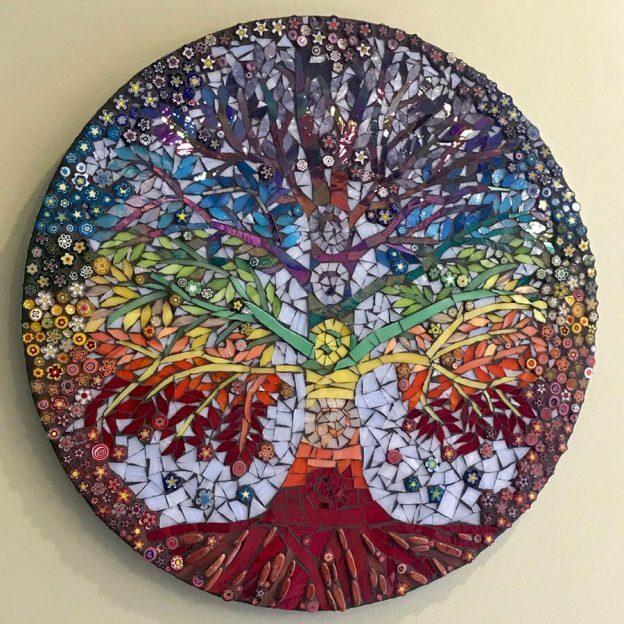 Betty calls her mosaic “Chakra Tree of Life.” The first mosaics I ever made were found-object “mandalas” in the form of a tree of life in an oval, and so Betty’s design spoke to me. I wanted to share this mosaic because Betty did a good job at maintaining adequate contrast between the tree and the background and between the branches and the leaves in spite of the color transition in the design. It would have been all too easy for the figurative element of the tree to become lost with this much “visual interest” going on in every square inch, and so the mosaic is worth studying. This entry was posted in Art Review, Improving Your Art, Inspiration on March 14, 2019 by Joe Moorman. 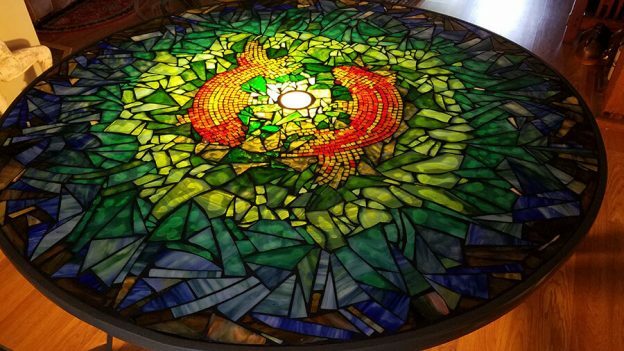 Artist Melanie Squires recently completed a stained-glass mosaic table, and I wanted to show it off for several reasons, and not just because it looks so good. There are some materials and methods to discuss, and there is the use of impressionism for the koi, which I thought was particularly effective. 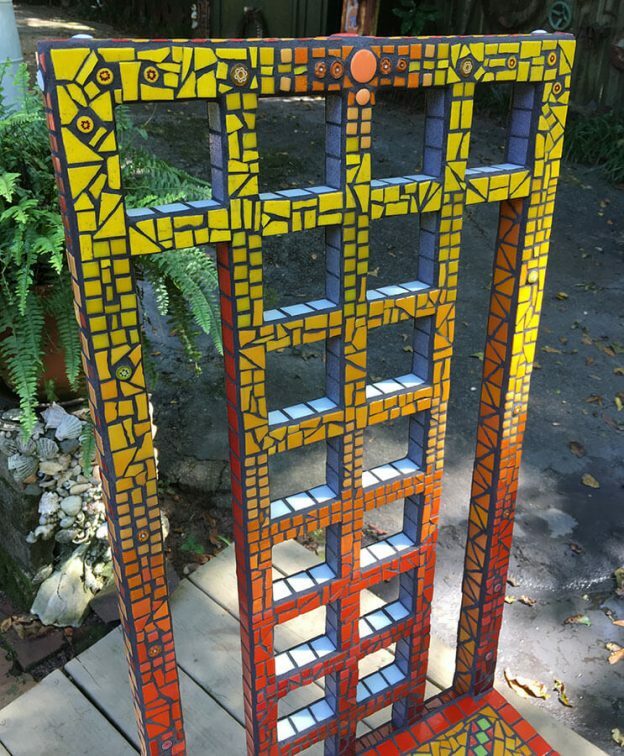 Melanie made the table from a metal patio table with a glass top and attached the stained glass to it using silicone adhesive. Warning: If you use a glass patio table for a mosaic, make sure the glass is thick enough to support the weight of the mosaic. It is possible to find glass patio tables at thrift shops where the original thick glass has broken and been replaced with something thinner. It is also possible to come across cheaply-made tables with thin glass, especially end tables and coffee tables. Never use a table for an outdoor mosaic merely because that is the table you happen to have. Before you invest time, money, and materials, make sure it will last. This entry was posted in Art Review, Improving Your Art, Inspiration on March 10, 2019 by Joe Moorman. 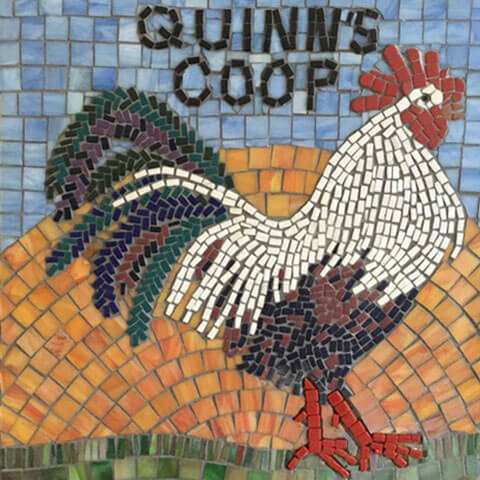 Tracy Kaplan recently emailed us a picture of her FIRST mosaic, and it is nice solid work, impressive even, especially considering that her instructor gave her some problematic advice concerning the grout color. 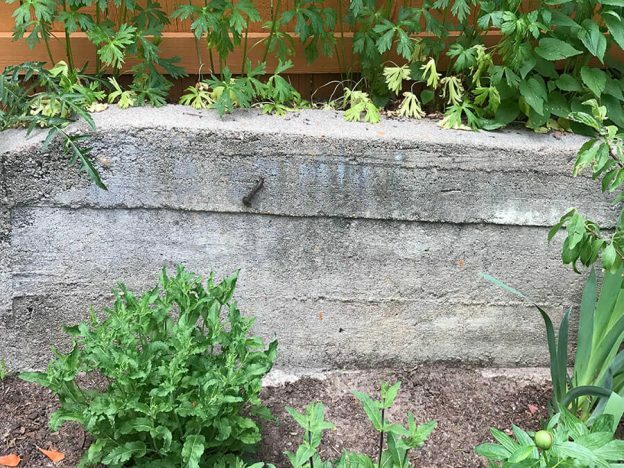 Tracy’s teacher had recommended a chocolate or nutmeg colored grout, but Tracy wisely considered how a dark brown might cause adjacent tree trunks to no longer be distinct and separate. Perhaps Tracy’s instructor had meant a lighter shade of those browns, but I still think that those could have caused problems with the adjacent tree trunks. Most likely, the instructor only saw a portion of the mosaic without adjacent tree trunks. Tracy admits that she only finished about an eighth of the work during the course and spent many months afterward working to complete it. If so, this is yet another example of how artistic advice isn’t one-size-fits-all and can be counterproductive or even disastrous if the advice isn’t specific to a particular artist or even a particular work of art in its entirety. This entry was posted in Art Review, Improving Your Art and tagged design considerations, grout on September 11, 2018 by Joe Moorman. Mosaic furniture can be made from glass mosaic tile more easily and more affordably than it can be made from pieces cut from antique china and other patterned dinnerware. It’s also much more colorful! The choices available range from bright rainbow colors to soft pastels to different color families, earth tones, black and white. You can even render portraits and landscapes on things like headboards because you have a complete rendering tool. 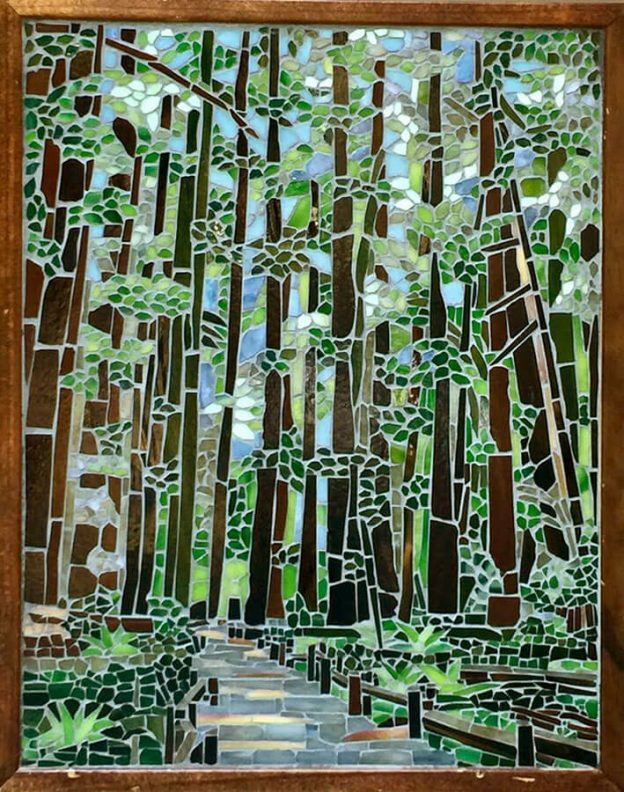 This entry was posted in Art Review, Improving Your Art, Inspiration and tagged contemporary mosaic, fun project, sculptural mosaic on September 5, 2018 by Joe Moorman. 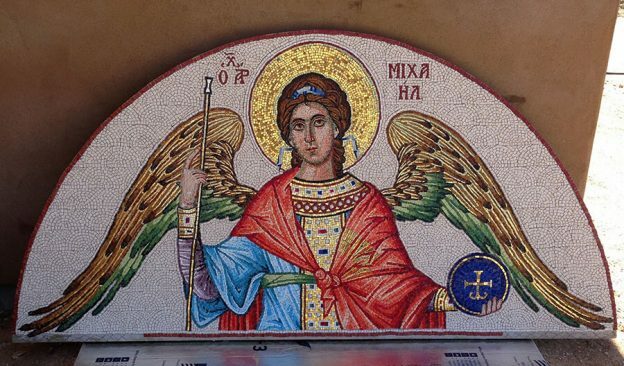 Historically, mosaic icons were made with traditional materials like smalti, marble, and gold leaf glass. 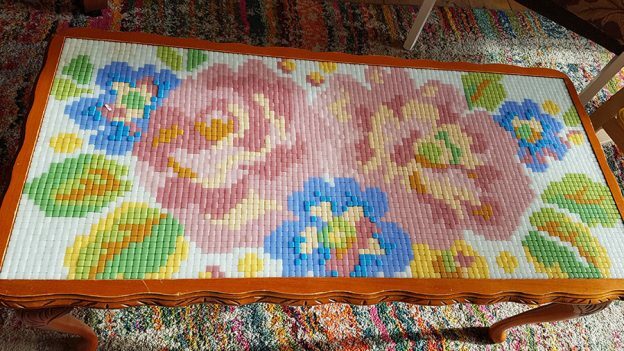 Those traditional mosaic materials might be preferred if you are trying to make a reproduction that looks historically accurate, but they are more expensive and more difficult to work with. If you have any latitude in choosing your materials, remember that it is possible to make striking and realistic images using ordinary vitreous glass mosaic tile, which is both affordable and easy to work with. Vitreous is the same thickness as the gold leaf glass we sell, and so you could still incorporate gold in your icon if you decided to nix the smalti and stone. In fact, it would be easier to use our gold leaf glass with vitreous than with the thicker smalti and stone. 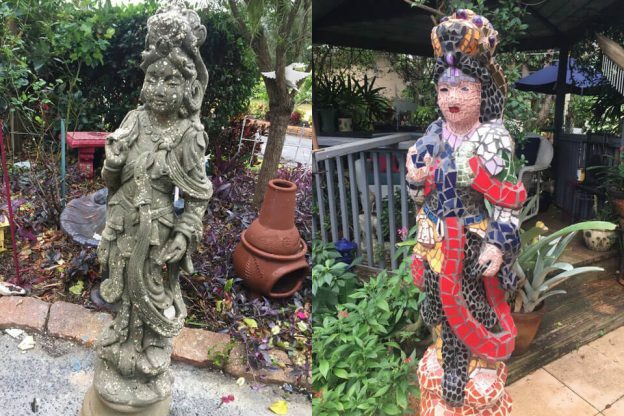 This entry was posted in Art Review, Improving Your Art, Inspiration and tagged contemporary mosaic, indirect method, outdoor mosaic, religious art on July 17, 2018 by Joe Moorman.